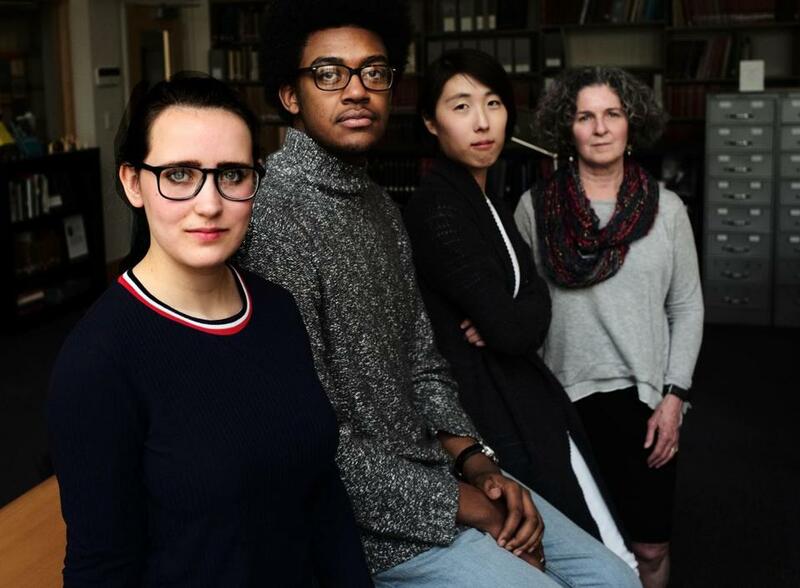 From left, MIT underclassmen Charlotte Minsky and Kelvin Green II worked with graduate student Clare Kim and archivist Nora Murphy on a project to delve into MIT’s early history and how it tied to slavery. For several years now, MIT president L. Rafael Reif has watched colleges across the country explore their historic ties to slavery, but he always assumed there wasn’t much of a connection at MIT, which was founded after the Civil War. Recently, however, Reif decided he didn’t want to rely on assumption any longer. He charged a class of students and their professor with combing MIT’s early history to instead dig up facts. It turns out, Reif’s assumptions were wrong. The student researchers, their professor, and an archivist discovered that a decade before he founded MIT, the university’s first president owned slaves in Virginia. William Barton Rogers owned eight slaves in the mid-1800s when he lived in Virginia on the campuses of two colleges there, William and Mary and the University of Virginia, the researchers found. “Quite frankly, it was shocking to me,” Reif said in an interview last week. He said he is still “reeling” from the history the students turned up. This news was revealed Monday to the MIT community for the first time. The research will be compiled on a new university website, and later in the week the school plans to hold a presentation about the findings so people on campus can discuss this newly uncovered chapter of MIT’s history. This new knowledge about Rogers’s slaves is just a piece of what the team found during the first-ever undergraduate course, which the university plans to offer again so other students can continue the research. MIT is the latest in a series of major US institutions to examine its connections to slavery. Brown University was the first elite school to do so with a report in 2006. Harvard in 2016 dedicated a plaque to a building on campus where slaves worked in the 1700s and last year held a conference about its ties to slavery. Georgetown, Princeton, and Columbia have taken similar measures. Over the course of the fall semester, the MIT students and their mentors uncovered myriad connections between MIT and slavery, some blatant and others nuanced. The students looked more broadly at the role of MIT in post-Civil War Reconstruction and traced the lives of students from the South who attended MIT. They also looked at the earliest student newspapers and yearbooks and uncovered what would now be considered racist and offensive depictions of black people. The students learned how to do the research thanks to MIT archivist Nora Murphy and history professor Craig Wilder. In interviews last week, the student researchers said they are not ashamed of what they found. They are eager to talk with their classmates about what this new information could mean for them and their school. The students said one of the biggest lessons they learned was that a technical institute like MIT — as removed as it might seem from social and political issues — is nevertheless intricately intertwined with them. “It’s really important that we’re doing this to show that even this type of institution still has a really important connection,” said Charlotte Minsky, a sophomore who took the course. During the semester, students met in a classroom near the MIT library archives, sharing their findings and asking questions. 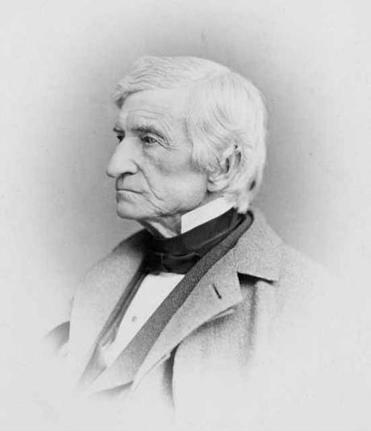 Rogers, the first MIT president, was born in 1804. He was a geologist and physicist who taught for many years at the University of Virginia. His father was born in Ireland and immigrated to the United States in the late 1700s. Rogers attended the College of William and Mary in the early 1820s and later became a professor there as well. At one point he was appointed the geologist of the Commonwealth of Virginia and led the state’s geological survey, according to research about Rogers by MIT. During his years in Virginia, Rogers traveled frequently to New England because he liked its social and intellectual culture, with its focus on hard work, education, and financial enterprise. At the time, Boston was a center of antislavery movements. After years of dreaming of founding a polytechnic institute, he at last moved to Boston in 1853 with his wife to accomplish that goal, according to the MIT research. Rogers launched a successful campaign to persuade the state Legislature to dedicate land for such a school, which it did in 1861. Clare Kim, an MIT graduate student, was the teaching assistant and helped guide the students’ research and techniques. She said she had fun helping teach the students that they were capable of doing historical research. The students came to realize that historical research produces a kind of knowledge that science and statistical data do not. Melissa Nobles, the dean of the humanities, arts, and social sciences, was a driving force behind the project. She encouraged it for pedagogical reasons as much as for the new information she hoped students would uncover. “It’s an intellectual endeavor at the end of the day. At the end of day, MIT is about ideas. It’s about better understanding human knowledge and advancing it. And one way we advance it is by understanding its origins,” Nobles said. In retrospect, Minsky said none of the research shocked her, but it was nonetheless fascinating to trace the ties between Reconstruction and the institute. “What was surprising to me was that this narrative hadn’t been told before, that someone did have to discover it, almost,” Minsky said. During their research, students came to appreciate the complexities of social change. MIT was founded toward the end of the Civil War and began offering classes in 1865, the year the war ended, but time and again the students uncovered evidence of old, racist attitudes that remained even after slavery and even in the North. Green’s project focused on racialized cartoons and other images in two MIT student publications. He sifted through 30 years of yearbooks and student newspapers and found insulting depictions of black people. One of the most startling images he found was from the cover of the student newspaper in 1897, an image of two black people conversing, dressed in waiter attire. The words the people were saying to each other, according to the caption, made them sound dimwitted and reinforced racial hatred through use of a slur. Green said he uncovered the image while scrolling through digitized copies of the old newspapers while he was home for Thanksgiving break. “It just seemed unfair that there was no other side to this narrative expressed in the student publication,” he said. But the research has empowered Green. He started to embrace and dig for new information that would complicate his idea of the past, and his idea of MIT.